Melbourne Racing Club partners with creative brand agency Carrspace to revamp the “Fashion on the Field” competition into an exciting style experience designed for the social age. 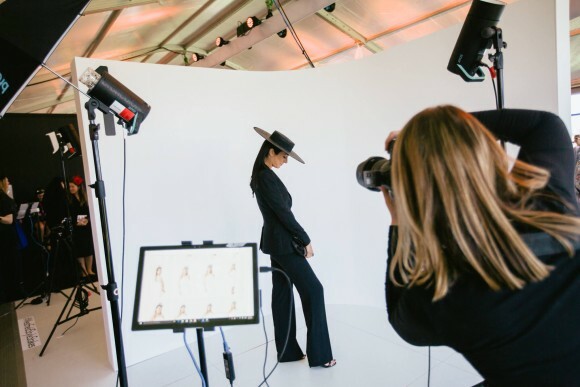 Race-goers curate their own experiences with social media and this Sunday, the Melbourne Racing Club (MRC) was looking to recreate the iconic Fashion on the Field event to make it a bespoke experience for all. MRC engaged experiential agency Carrspace to capture the Instagram generation of 18 – 30 year-old-women. Tested earlier this year at the Caulfield Cup, Carrspaces’ innovative approach celebrated individual creativity and self-expression, a move which resulted in participation numbers skyrocketing from previous years. “In looking at this audience we recognised that they are attracted to social experiences, love individual expression and seize any opportunity to share their stories with the world around them. With that in mind, we created the Westfield Style Stakes, a fashion studio where any racegoer can participate in a personalised photo shoot, complete with professional makeup and hair styling, and then if they choose to, could also enter the Style Stakes competition.” says Taryn Atkinson, account director at Carrspace. After a photo shoot with their very own photographer, each participant will be invited to choose their favorite images at the edit suite, receive a printed ‘proof’, along with their chosen selection of images being sent immediately to their mobile for sharing. “The average consumer traverse between the digital and offline mediums unconsciously. With that insight, we intentionally designed a fluid journey which engaged racegoers while they were on site, whilst also empowering them to easily share their experience authentically,” adds Atkinson. Reviewing the campaign earlier this year, the MRC reported an increase in social sharing and impact beyond any other social campaign they’d activated prior. The Style Stakes experience will activate at the Mornington Peninsula Cup this Sunday, 30 October.